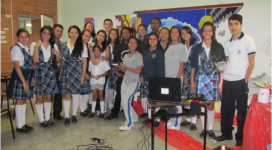 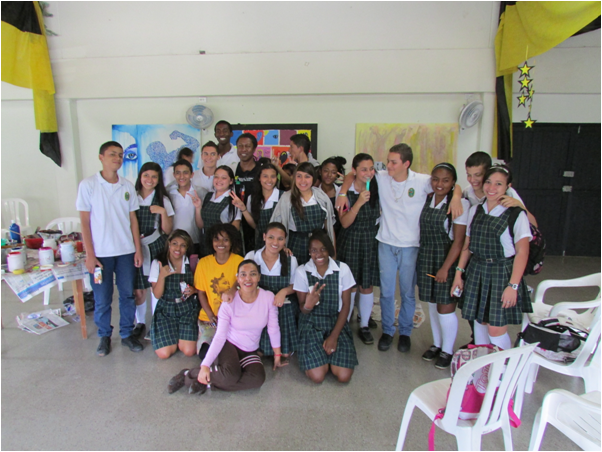 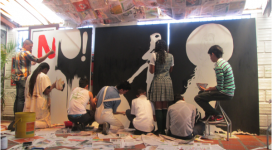 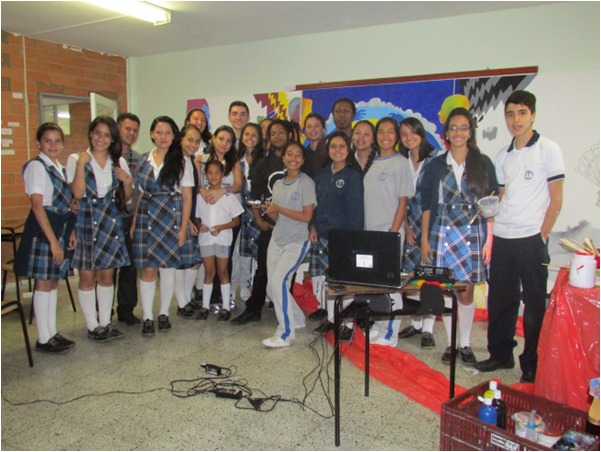 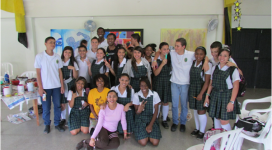 Through their "Wishing you Peace" program, the Centro Colombo Americano came up with "Lab 43: Types of Violence vs Strategies & Solutions of Non-Violence", a workshop where they engaged with high-school students from seven schools. 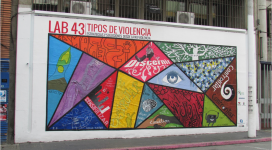 In these workshops, they taught them not only how to recognize the various kinds of violence that exists (domestic, psychological, cultural, physical, emotional, environmental, structural, religous, and racial violence) but also how to address these. 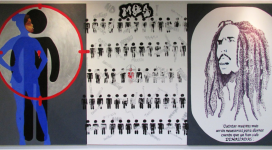 The artist John "Jahni" Moore was invited to lead Lab 43 as he is well-versed on the topic of non-violence and the peaceful strategies used by notable figures, such as Dr. Martin Luther King Jr. in the U.S., to access civil rights and help individuals become recognized as equals by society. 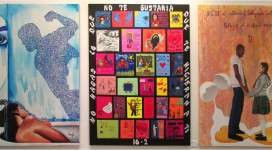 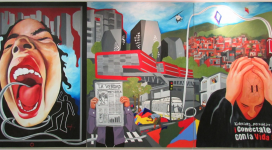 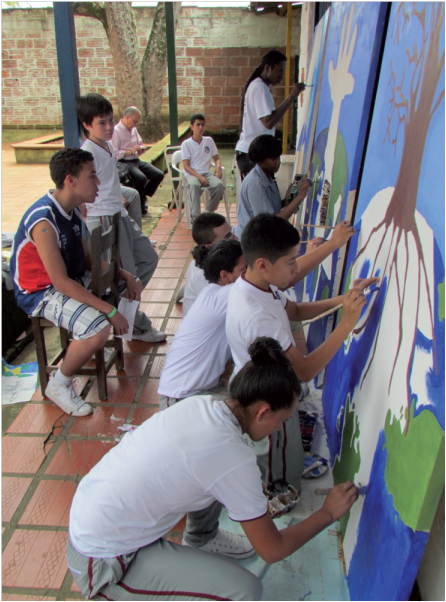 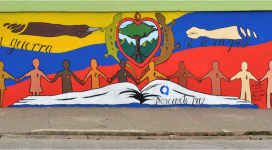 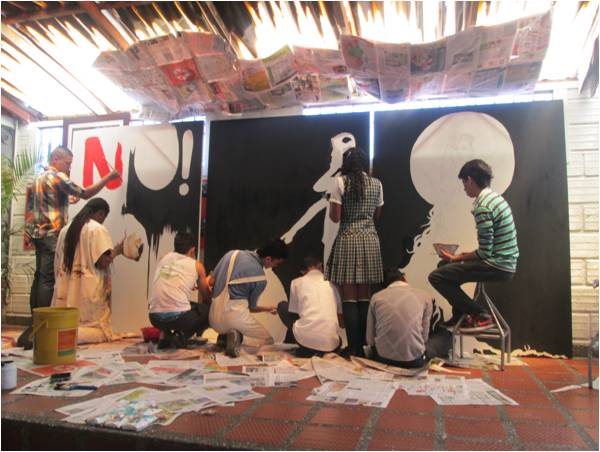 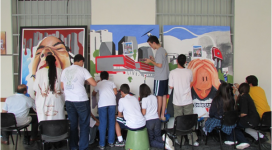 Through these murals, Moore and art students from the University of Antioquia were able to reach out to the students so they may understand the lasting effects of their creations on their communities and their peers. 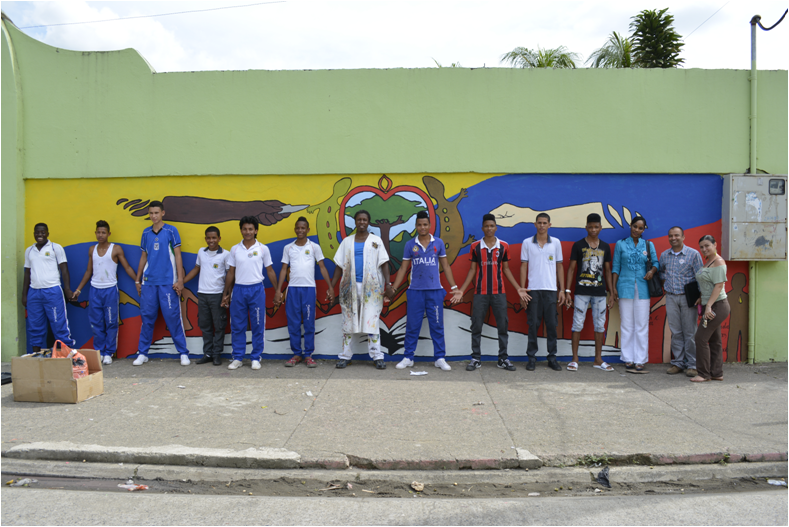 At the end of the project, students and artist from all the schools created one mural that promotes peaceful behaviors and actions. 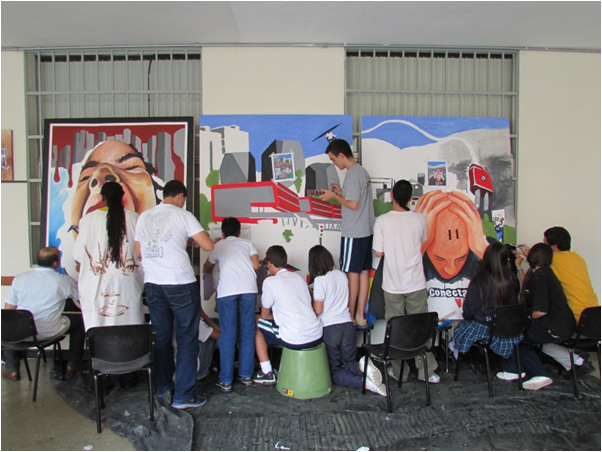 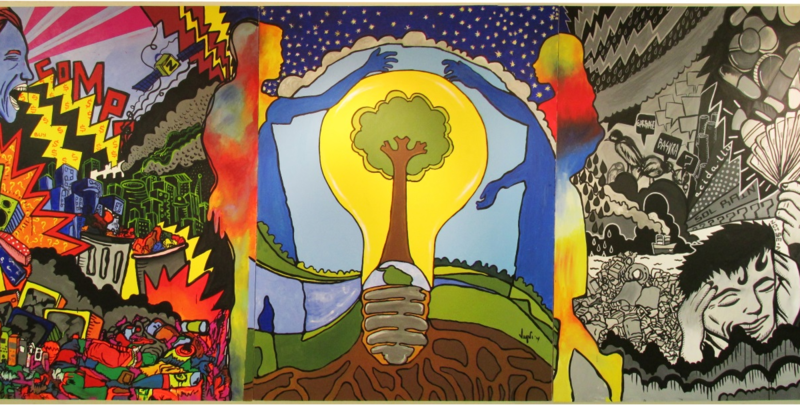 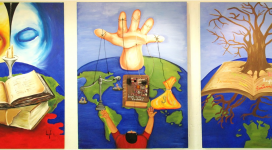 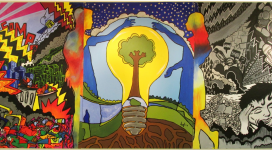 Each school contributed one or two section to the mural to show the lessons they learned and to show that "art can tranform through metaphors". 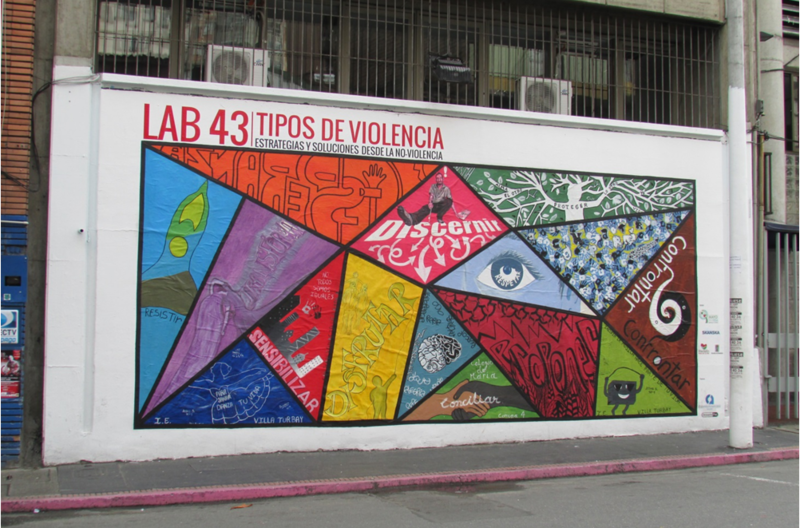 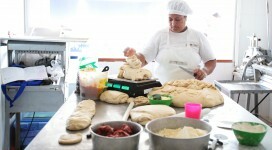 To read more, please take a look at Lab 43 Catalogo – Tipos de Violencia.